The semilunar valves are half-moon-shaped leaflets of endocardium and connective tissues, situated between the aorta and the left ventricle and between the pulmonary artery and the right ventricle. 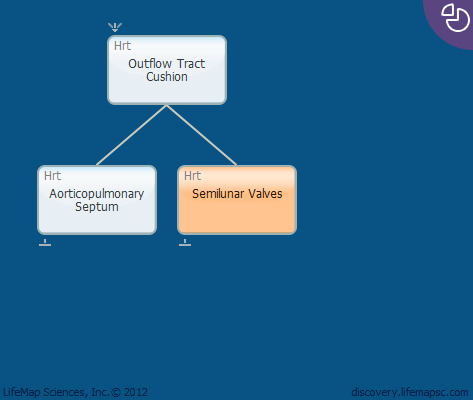 These valves permit blood to be forced into the arteries, but prevent backflow from the arteries into the ventricles. Semilunar valves do not have chordae tendineae, and resemble valves in veins, rather than atrioventricular valves. The semilunar valves of both arterial outlets are formed at the level of the truncus. Full valve formation is seen on day 63 of human development.